When I get tired of having the same thing for lunch day in and day out I sometimes mix it up with this sandwich. 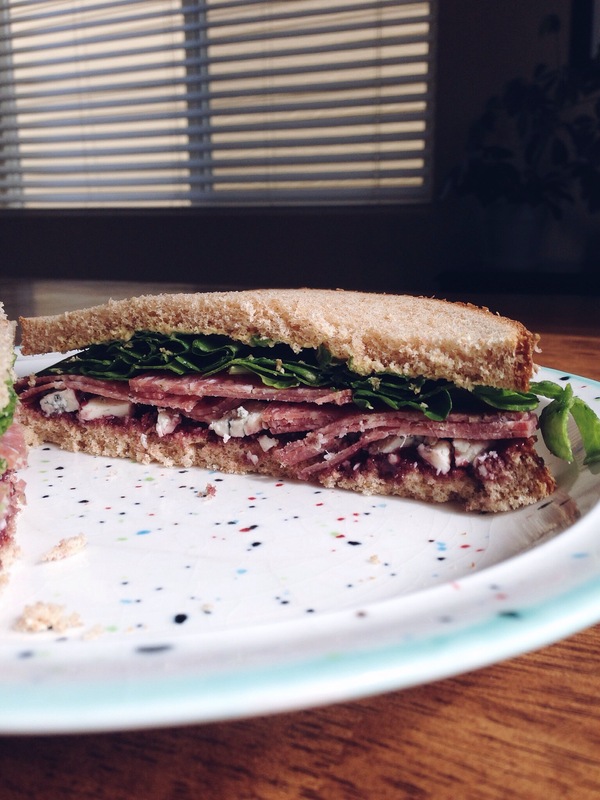 It has salami, Gorgonzola, Dijon mustard, blackberry preserves and spinach. 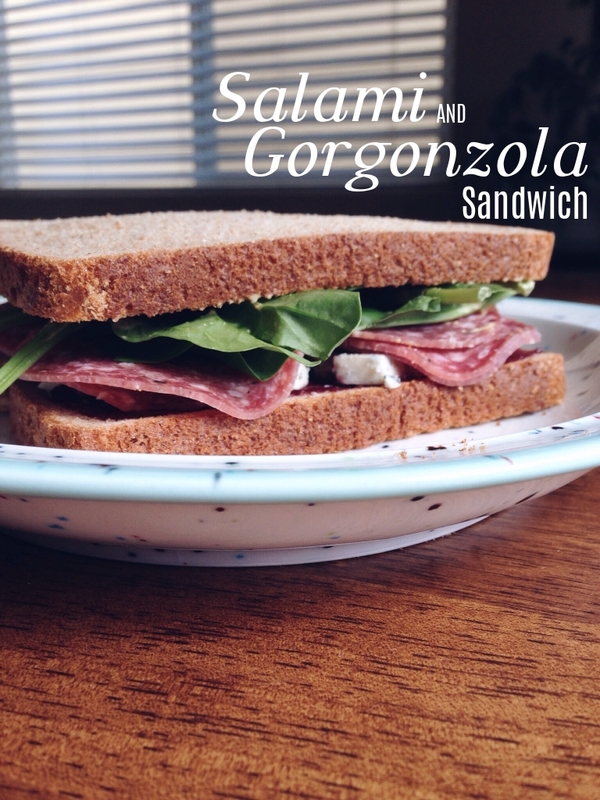 These ingredients are the perfect combination of sweet from the preserves, savory from the Gorgonzola and salami with a little heat from the Dijon. This sandwich makes a normal weekday lunch feel so much more special, like I actually left the house to get it. 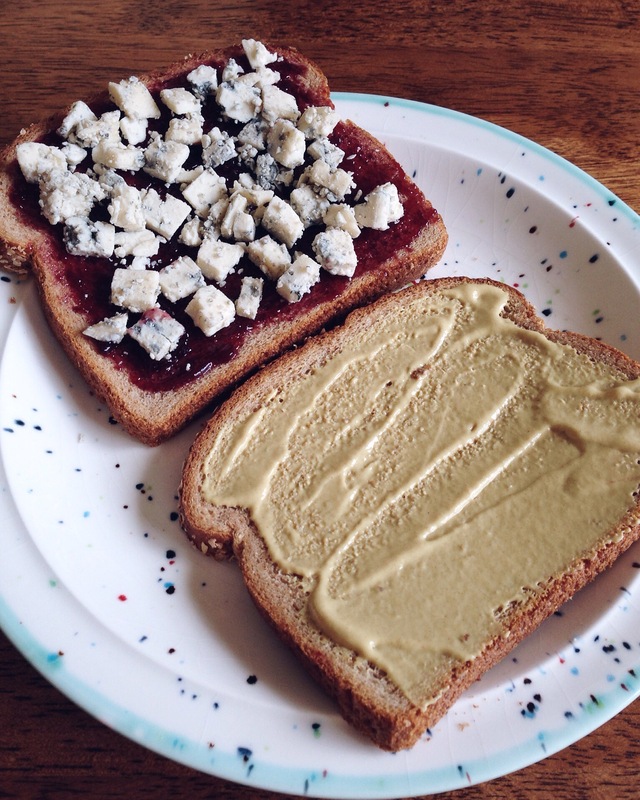 Spread one slice of bread with blackberry preserves and sprinkle with Gorgonzola crumbles. 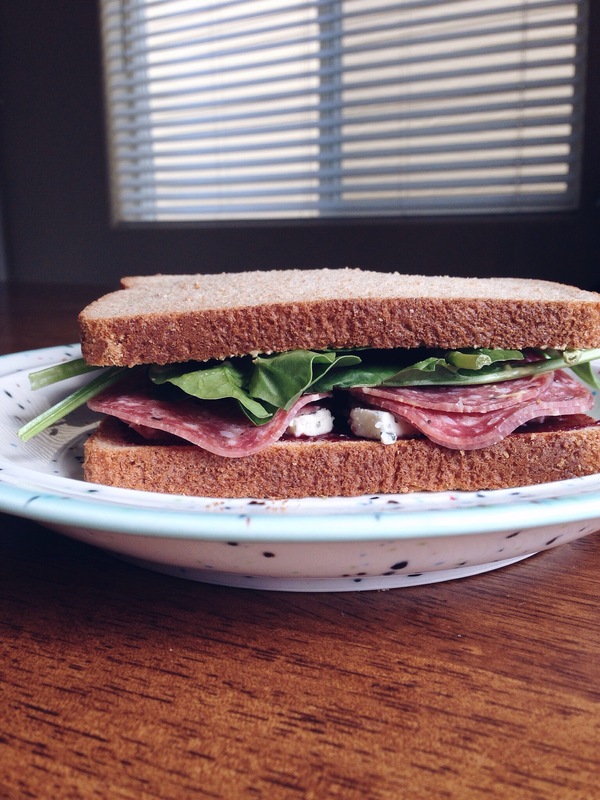 Top that slice with salami and spinach. On the other slice of bread spread with Dijon mustard and place on top. Super easy and tasty for a weekday sandwich lunch!